VIPAccessEXCLUSIVE: Marlowe Peyton Interview With Alexisjoyvipaccess At The Jonathan Foundation’s Spring Fundraiser! We all know her as the enthusiastic Reba in the highly-acclaimed and hit TV show, Fresh Off The Boat. It’s clear to see that any character that the awesome and multi-talented Marlowe Peyton takes on, she always does such an extraordinary job and she continues to be such a pleasure to watch on our TV screens. The wonderful Marlowe Peyton is a gifted actress who has been a part of a countless amount of excellent projects including Dance Off, Jessie, The Middle, New Girl, How I Met Your Mother, and many more. With every project that she works on, Marlowe brings her fun-loving and vibrant personality and her terrific talent. Another exciting project that Marlowe Peyton has worked on is The Nerd Posse, a much anticipated series also starring her sister, Merit Leighton and her good friends, Jacob Hopkins and Benjamin Stockham, amongst many others. Needless to say, we’re super excited for all of the fun adventures that awaits in The Nerd Posse. She can act, she can sing, and she’s a ray of sunshine – Marlowe Peyton is absolutely remarkable! 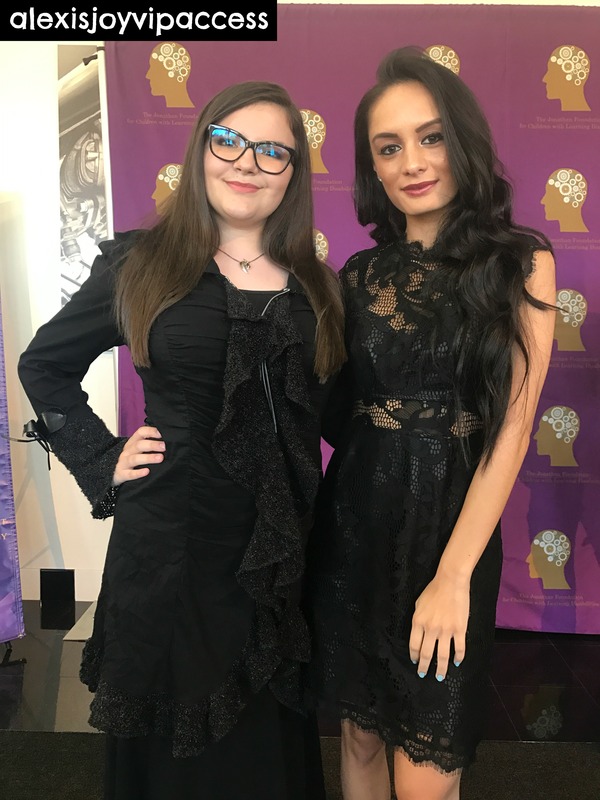 I, Alexisjoyvipaccess had the honor of covering The Jonathan Foundation’s Spring Fundraiser, which helps children with learning disabilities get the proper education that they deserve, and I had a fantastic time interviewing the marvelous Marlowe Peyton at the event. Marlowe Peyton dished exclusively to Alexisjoyvipaccess all about The Nerd Posse, how she got started working with The Jonathan Foundation, and so much more only in our VIPAccessEXCLUSIVE interview. Marlowe Peyton even revealed the one word she would use to describe what it was like working on The Nerd Posse – hear what she had to say in our VIPAccessEXCLUSIVE interview below. Thanks for the fun interview, Marlowe! Check out my VIPAccessEXCLUSIVE interview with the lovely Marlowe Peyton at The Jonathan Foundation’s Spring Fundraiser below! Previous VIPAccessEXCLUSIVE: Riele And Reiya Downs Interview With Alexisjoyvipaccess At The Nickelodeon “Sizzling Summer Camp Special” Screening Event! Next VIPAccessEXCLUSIVE: Benjamin Stockham Interview With Alexisjoyvipaccess At The Jonathan Foundation’s Spring Fundraiser!